Kingston today announced the new Kingston Media Reader, an external, hi-speed reader designed to support 19 popular types of Flash memory cards, is now shipping. The reader is the perfect solution for moving data between Flash cards and a computer or other device with a USB port as it requires no adapters or power cable. IDimager Systems released version 4 of the popular digital image management tool IDimager, the latest main release to its organization and sharing software. Unique features combine to make IDimager the most powerful and affordable tool available today to manage thousands of photos and integrate them in imaging workflows. Advanced version management and uploading features to photo sharing sites such as SmugMug and Zenfolio are among new features. Additional features include cataloging, image ingestion, batch processing, viewing and editing of multiple image files, even in large albums and photo collections. 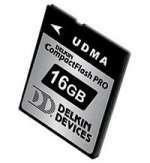 Delkin Devices, Inc. today expanded the outer limits of CompactFlash card storage capacity and speed for digital cameras by announcing its 16GB UDMA enabled CompactFlash PRO card. This latest addition to Delkin's Compact Flash PRO line boosts screaming fast read/write speeds—up to 305x (45MB/sec sustained transfer speed capability). Now photographers using UDMA enabled cameras such as the Canon 1Ds Mark III, Nikon D300 and Nikon D3X have a memory card that can maximize the full benefits of their camera investment. Right in time to capture all the mood and joy of this year’s festive season and beyond, four new models from the hugely successful µ range have been added to the Olympus line-up of compact digital cameras. Living up to the µ series’ enviable reputation for combining trend-setting design and high performance, the µ 1200, µ 830, µ 820 and µ 790 SW each incorporate features that will ensure those precious end-of-year holiday moments with friends and family are perfectly recorded. As the days grow shorter and the lighting gets more atmospheric, these µ cameras will capture the distinctive ambience faithfully thanks to BrightCapture Technology. 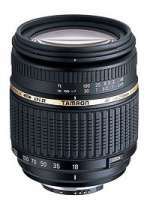 Tamron announced that the company has released the AF18-250mm F/3.5-6.3 Di-II LD Aspherical (IF) Macro, a lightweight, compact and ultra high power zoom lens designed exclusively for digital SLR cameras with APS-C sized image sensors with a Built-In Motor for Nikon (Model A18N II). The AF18-250mm F/3.5-6.3 Di-II LD Aspherical (IF) Macro is the ultimate high power zoom lens boasting the world’s greatest zoom ratio of 13.9X. Tamron, the pioneer of high power zoom lenses, has achieved this milestone by commanding its technologies to further expand the capabilities of high power zoom lenses. Wacom announced today the introduction of two new members to the Cintiq family the Cintiq 12WX and Cintiq 20WSX. The Cintiq 12WX combines all the advantages and power of direct pen-on-screen input with a new low-profile, lightweight and flexible design. The new Cintiq 12WX is aimed at professional creators of digital content looking to improve and streamline their workflow. Storyboarding for 2D or 3D animations, compositing for post production, designing graphics, as well as retouching photos are just a few of the many creative applications where the Cintiq 12WX will excel. 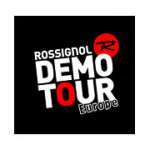 From October 2007 to April 2008, Olympus is giving a unique opportunity to skiers and snowboarders that drop by on one of the many stops of the Rossignol Demo Tour EUROPE. Each visitor has the chance to pick up a stylish Olympus mju 790 SW and test this shock, water and freezeproof camera in the snow for up to two hours – free of charge. They can also try new skis or the latest snowboard from Rossignol. Whether you get digital images using a digital camera or a scanner, you may often notice the so-called noise. It can be seen as grains that compromise the smoothness of the photo or random red and blue pixels spoiling the colour accuracy of the snap-shot. Such images can be improved with noise removal software. The idea is to reach balance between removing noise and keeping fine details on a picture. 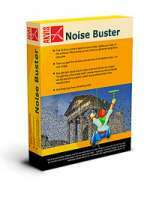 The new version of Akvis Noise Buster offers an advanced algorithm of noise removal. The efficient algorithm allows suppressing visible noise without blurring the edges of objects. Your photos stay sharp and crisp, while the unwanted artifacts disappear. Since it was announced, quality of high ISO photos with D300 was a bit of a mystery. Few days ago we had opportunity to see a bunch of photos taken with very high ISO, and to honest, we were delighted with what we saw. Yes, noise was present but far more less then we were used to see with Nikon dSLR's so far. Rumors about two new models from Pentax keep emerging almost everyday on web. In general, Pentax is to replace it's two older models K10D and K100D with K20 and K200 on January 24, just week before the Photo Marketing Association trade show (PMA). Along this two new dSLR camera there is a possibility that Pentax will announce three new lenses. 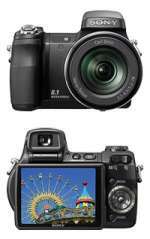 Responding to the growing demand for super zoom digital cameras, Sony is introducing its new 8-megapixel DSC-H9 and DSC-H7 models. Designed to appeal to families with budding athletes in their broods, the cameras debut Sony’s new advanced sports shooting mode. This mode combines high shutter speed shooting and intelligent continuous auto-focusing. The cameras can quickly focus on fast-moving subjects by predicting where those subjects will be in the frame. This predictive technology also helps to reduce shutter lag, the time it takes for the camera to focus and shoot. 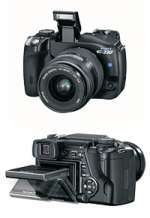 With the new Olympus E-330, the specialist in opto-digital technology once again expands the horizons of photography. For the first time, the comfort and flexibility of continuous live views directly on the LCD is available to digital SLR users. This ground-breaking innovation enables framing of shots without the need to look through the ocular. Users can therefore see what’s going on around them while they shoot, which is a significant advantage for reportage or sports photographers – as well as in other situations where it is difficult to frame using the viewfinder, such as under water. Moreover, thanks to a large tilting, multi-angle LCD measuring 2.5”/6.4cm, the Olympus E-330’s versatility is extended even further. It makes capturing shots from unusual angles, such as in crowds or during macro photo sessions, a breeze. Online Photographers just released a new website wizard creation tool, called the MySite, for professional photographers to display and sell their photos and work online. This new service offered by Online Photographers means that photographers can avoid the need for expensive hosting and web development and easily create their own photography website, quickly and cheaply. Nikon has added a new member to its renowned family of Nikkor lenses with the introduction of the AF-S DX NIKKOR 18-55mm f/3.5-5.6G VR, a general-purpose lens developed specifically to cater for users of entry-level digital SLR cameras. The compact, lightweight affordable lens incorporates a Silent Wave Motor for fast autofocus and Vibration Reduction for enhanced low-light performance.The versatile 3x zoom lens covers the widely-used and popular focal range of 27mm to 82.5mm when mounted on any DX-format Nikon digital SLR camera. Canon have released a firmware update for the EOS 40D digital SLR camera. This is firmware v1.0.5 and it corrects some language problems and also some problems with image display. 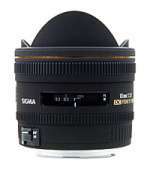 The Sigma Corporation is pleased to announce the launch of the new 10mm F2.8 EX DC FISHEYE HSM lens. This autofocus fisheye lens is designed for use with digital SLR cameras equipped with APS-C size image sensors. 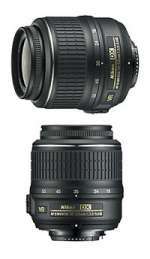 The Nikon version produces a diagonal angle of view of 180° (154°for Sigma, 167°for Canon).